I had a meeting tonight. George always opens our meetings with a passage of scripture. I am not sure how or why he chooses the scripture he reads before each meeting. I do know that during those times it calms my heart, directs my attention and speaks to my soul. Tonight George shared from the Psalms. As I listened to him read I could not help but hear how this passage speaks to today’s election and the days that will follow. 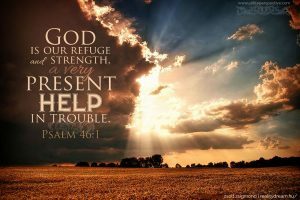 God is our refuge and strength. Candidate after candidate promises protection and blessings. Promises they seldom remember, let alone deliver once elected. They utter warnings of utter doom should their opponent be elected. These rumors of utter doom seldom deal with reality and do more to strike fear and uncertainty within the hearts and minds of the voters than define truth. As people of faith we must remember that no matter what happens today God is still our refuge and strength. If our candidate wins, they are not going to be our savior. They will fail us, fall short and ultimately not deliver on much of what they promised during this election season. If our candidate loses, the world is not going to end when the “other” takes office. It is God and God alone in whom we put our confidence. Much of this election cycle has been about control. Who will control the direction of our country? Who will control appointing nominees to the supreme court? Who should control the nuclear codes? Both candidates have argued that to trust the “other candidate” with “control” would be a huge mistake and lead to utter disaster. As people of faith we must remember that no matter what happens today God is still in control. Electing either candidate will do nothing to remove Abba Father from His throne. If our candidate wins we must remember that while we live in this world we are not of this world. We serve a God whose call upon our lives is much greater than anything our President could ever call us to. 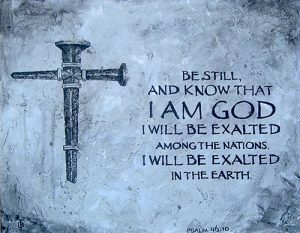 If our candidate loses we must remember God is still in control. We must not allow the Chicken Littles of this world to tell us the sky is falling because our candidate did not win. Our country is divided. No matter what happens today close to 50% of the people will see their candidate elected. No matter what happens today close to 50% of the people will see their candidate defeated. We have all seen poor winners and poor losers. As men and women of faith we need to rise above the temptation to slip into functioning as either. If your candidate wins, be aware that others are less than thrilled. Beyond being unhappy people have listened to a years worth of why your candidate winning is the worst thing that could ever happen to our country. There is a level of fear out there which is not healthy. If you are a “winner” tomorrow be sensitive in the way you celebrate and speak with those who are mourning their loss. If your candidate loses, the challenge will be to allow others the chance to celebrate their victory. The biggest challenge will be to take some time to grieve the loss and then come together as a country to support our new leader. This will not be easy if our candidate has lost. Scripture challenges us to pray for our leaders, for those whom God has placed in positions of authority. As men and women of faith we need to begin praying for our next president, whomever they may be. Prayer has a way of changing things. Most importantly prayer has a way of changing our hearts. When we pray for those in leadership, especially those we disagree with, it has a way of helping us see them more clearly. Slowly our heart is transformed. We begin to see those we are praying for, not as some “talking head” wants us to see them, but as Abba Father sees them. Imagine if we all could see our leaders as Abba Father sees them. How would that change our attitudes, our words, our actions? It is no secret that the tone of political conversation this election has been heated. From the primaries until today we have listened to much mean spirited, hate filled rhetoric that seemed to dodge the deeper issues we face. Post election conversations will provide an opportunity for people of faith to rise above this unfortunate reality and demonstrate what it means to have conversations of substance surrounding deep issues with those we may not agree with. Imagine if communities of faith could model how to communicate around some of our societies largest issues. By communicate I do no mean simply shout the loudest so our point of view gets heard. Imagine if we could help open a dialogue where people learn to respect each other, listen to opposing points of view, and discuss significant issues with civility. What a gift to our divided and wounded world! Such a gift will not begin on a world stage. It will start around your dining room table, the local diner or coffee shop. It will begin when you stifle that urge to argue your point and truly listen to the point of the view (I mean really hear their heart) of the person you are talking with. So much true communication is lost because rather than simply listening to what someone is sharing we are planning our rebuttal to their “flawed” ideas while they speak. Imagine if we trained ourselves to listen longer and speak less. This could be one of the greatest gifts the faith community could give this world. No matter what happens today God is still in control. People of faith will have many opportunities to speak words of hope and promise into this damaged world. People of faith will have opportunities to demonstrate what it means to truly listen to those we do not agree with. 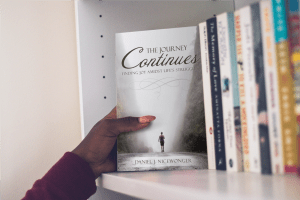 Today I am praying we will step into those opportunities with the strength and boldness that comes only when the Spirit is alive and well working within us. Needed to hear this today. Thank you.